Instagram is a great way to connect and share snippets of your life with close friends and family, but if you have no idea how to find specific users to follow or interesting posts to engage with, you could miss out on a lot of great content. This is why it's helpful to learn how to use Instagram's search function. You can use Instagram's search function on both the official Instagram app as well as at Instagram.com in a web browser. It's as easy as using the search function on any other app or website—if not easier! Open up the Instagram app on your mobile device (or go to Instagram.com) and sign in to get started with using Instagram search. Instagram search is located on the Explore tab within the app, which can be accessed by tapping the magnifying glass icon in the bottom menu. It should be the second icon from the left, between the home feed and the camera tab. You should see a search box at the very top that says Search. Tap the search to bring up your mobile device's keyboard. As soon as you sign in, you should see Instagram's search field at the top of your home feed. Once you've tapped the Instagram search box, you'll be able to type in your search. You should notice four different tabs that appear at the top: Top, People, Tags and Places. To search for a tag, you can search for it with or without the hashtag symbol (such as #photooftheday or photooftheday). Once you've typed in your tag search term, you can either choose the result you were looking for from the automatic list of top suggestions or tap the Tags tab to filter out all the other results that aren't tags. Instagram.com doesn't have the same four search result tabs that the app does, making it a little harder to filter results. When you type in your tag search term, however, you'll see a list of suggested results appear in a dropdown list—some of which will be tags (marked by the hashtag (#) symbol and others that will be user accounts (marked by their profile photos). After you tap on a tag from the Tags tab on the app or click on a suggested tag from the dropdown menu on Instagram.com you'll be shown a grid of photos and videos that have been tagged and posted by Instagram users in real time. A selection of top posts, which are posts with the most likes and comments, will be shown in the default tab on the app and at the very top on Instagram.com. You can switch to the Recent tab on the app to see the most recent posts for that tag in the app or simply scroll down past the first nine posts on Instagram.com. If you're searching tags on the app, you can actually follow a tag by tapping the blue Follow button so that all the posts with that tag show up in your home feed. You can always unfollow it anytime by tapping the hashtag and tapping the Following button. In addition to searching for posts with specific tags, you can can also use Instagram search to find specific user accounts to follow. In the search field on the Explore tab, type in the username or first name of a user. Like the tag search, Instagram will give you a list of top suggestions as you type. Either tap the result from the suggested results or tap the People tab to filter out all the other results that aren't user accounts. In the search field on Instagram.com, type in the username or first name of a user and select a result from the dropdown list of user suggestions marked by a profile icon. Unlike the tag search, which displays a full page of post results, you can only select user results from the dropdown list. If you know a friend's username, you'll get the best results by searching for that exact username in Instagram search. Searching for users by their first and last names can be a little more difficult since not everyone puts their full name on their Instagram profiles and depending on how popular their names are, you could end up having to scroll through many user results with the same names. For users in Instagram search, the most relevant and/or popular users are displayed at the very top, along with their username, full name (if provided) and profile photo. Instagram basically determines the most relevant user search results not only by matching username/full name accuracy, but also by your social graph data. 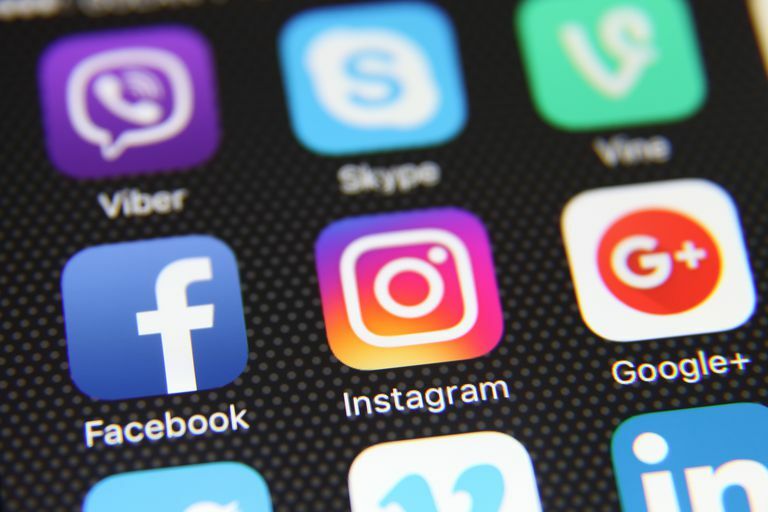 You may get results based on your search history, mutual followers based on who you're following/who follows you and your Facebook friends if you have your Facebook account connected to Instagram. The number of followers may also play an important role in how users show up in search, making it easier to find popular brands and celebrities through Instagram search. Instagram now also lets you search for posts that have been tagged at specific locations. All you have to do is type the location into the search field and tap the Places tab in the app or if you're on Instagram.com, look for results in the dropdown list that have a location pin icon next to them. For ideas on what kinds of things to search for on Instagram, look up some popular Instagram hashtags, or find out how to get your photo or video featured on the Explore tab (also known as the Popular page).